There are many ways in which philanthropy approaches women’s empowerment. 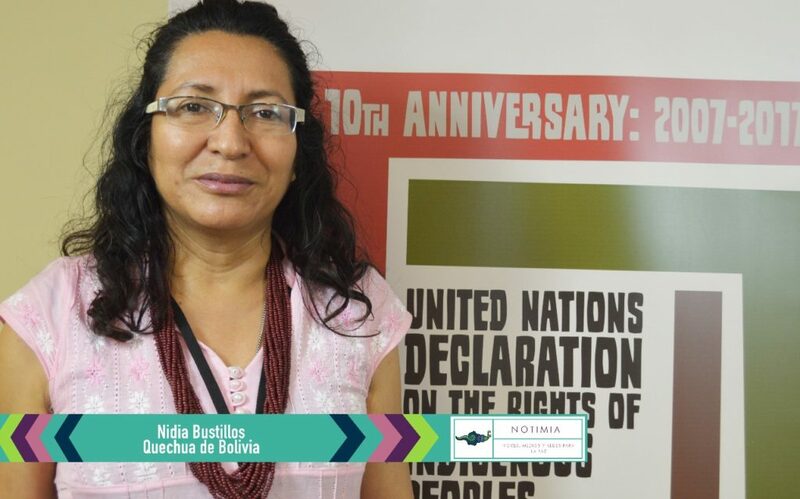 For Nidia Bustillos, a member from News Agency for Indigenous Women and Afro-Descendant Women (NOTIMIA), media can be used as a formidable tool for Indigenous women exercising their rights to self-determination. The goal is to enable empowerment through re-claiming their narratives. NOTIMIA provides an example of how technology and communication are influential vehicles in this process. Nidia has been exploring the potential for Indigenous media for over two decades. This includes the Know-How Conference held in Mexico City in 2005, where she and other attendees discussed how to re-appropriate technology and communication to spotlight Indigenous women’s empowerment, voices and struggles. These conversations provided the impetus for her to publish her paper, “The Information Society, Indigenous Women and ICTs/Comunicadoras Indígenas e Afrodescendentes Latino-americanas: Sororidade e Identidades”. It is here that she laid the groundwork for the argument that understanding the relationship between technology, communication and power can reveal how and why alternative media can be shaped to enhance the empowerment of Indigenous Peoples. “These Indigenous stories are not shared in mainstream media and not everybody knows them,” Nidia explains. She illustrates this further in her writing, “The manifestation of power in the information society lies in the codes of information and representation of images around which societies organize their institutions, and how people build their lives and decide their behavior.” She argues that in order for rural Indigenous communities to compete with mainstream media, it would require people to have access to equally adequate and rapid information to create counter proposals, taking into account the cultural identity, stories and histories of Indigenous communities. This highlights the important role Indigenous media can play in Indigenous women’s empowerment, and NOTIMIA’s team is leading the way. One example of this is their current documentary about Indigenous women healers entitled “Mujeres Sanadoras: las cuidadoras de la vida/Women Healers: carers of life”. As an Indigenous healer herself, Nidia describes a media culture where Indigenous women are often represented as victims with little power. “I don’t want to talk about women as weak, women living in poverty. I want to talk about women with power,” she insists. This is where subverting the narrative is important. Indigenous women are powerful, even if this is not the depiction created by mainstream media. Through sharing this story, NOTIMIA is aiming to both elevate the visibility of Indigenous women’s power, which these women have held for centuries, as well constructing authentic portrayals of these communities as complex, intricate people. The documentary is planning to be in post-production later this year, with a release date in 2018. To learn more about Mujer Sanadora, please visit their website. Nidia Bustillos Rodríguez is a Bolivian Indigenous healer, filmmaker and member of NOTIMIA. Ashley Hernandez is program associate with International Funders for Indigenous Peoples.